Drawing inspiration from traditional Middle Eastern cuisine, Basta’s signature dishes range from succulent chicken thighs to schnitzels. 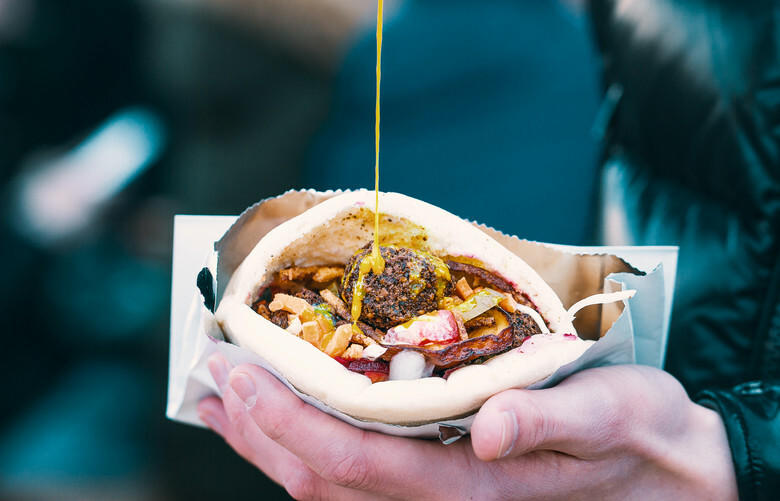 A fan favourite of theirs is the falafel and (picture perfect) pitas served with a side of potato fries sprinkled with homemade spices. You'll feel like you're in a dream with the selection of fresh vegetables, grilled meats, fluffy pitas and drool-worthy falafel. Honestly, what could be better?